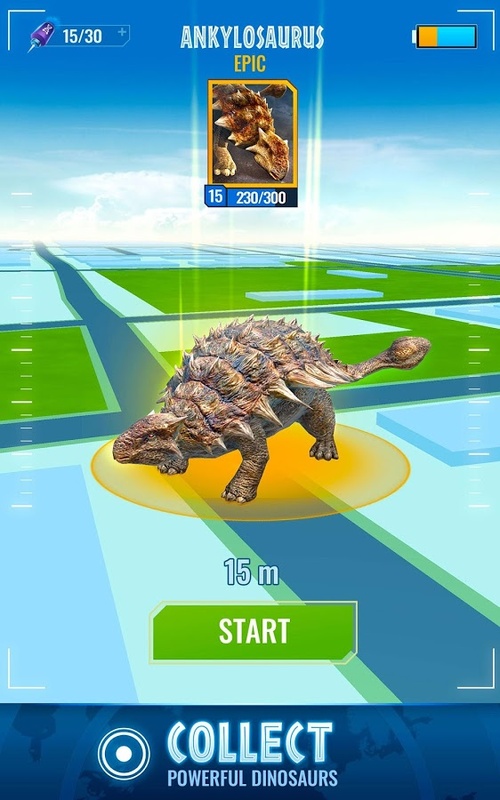 It looks like the people behind Jurassic World are looking towards Pokemon Go for its newest venture, Jurassic World Alive, a new augmented reality game that combines the geol-location aspect of Pokemon Go, but with the dinos of Jurassic World. Developer Ludia previously made other Jurassic World titles, including Jurassic World: The Game and Jurassic Park Builder. But with Jurassic World Alive, players can go to real-world locations and collect various dinosaurs. Or saving them rather. In a wink to Jurassic World's cloning mythos, players will save dinosaurs from extinction by tracking them, collecting their DNA samples, and creating new hybrid dinosaurs in a lab. Players can also use their dino hybrids to battle other teams of dinos in PvP battles. Players will be represented by a drone in the game, and drone supply drops in-game will help players earn in-game currency and battery life for the drone. Presumably running out of batteries must mean that players will have to wait until their batteries recharge before playing again. Jurassic World Alive is part of a promotion for the upcoming Jurassic World: Fallen Kingdom, which comes out on June 22, 2018. Tagged with AR,	mobile,	News.